Feel like a celebrity when you get behind the wheel of the luxurious 2017 Jeep Grand Cherokee in El Paso. There are distinct themes to suit your flair for style, and the amenities will truly make you feel like a VIP. Whether you’re cruising in this Jeep in El Paso, or heading to the open roads for that well-deserved vacation, you’re in for a treat. 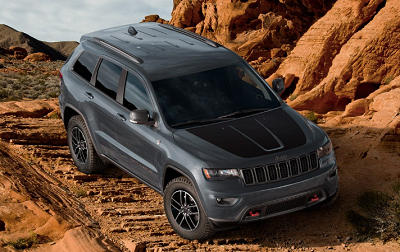 At first glance, one can readily admire that tough and outdoorsy stance of the Trailhawk. With the matte black hood and gunmetal trims, this SUV looks bold both inside and out. Standard 18-inch wheels with the upgraded Quadra Lift air suspension lets you travel over rough terrains without breaking a sweat. This 4×4 rated ride also has underbody skid plates that protect it even when over the rockiest of roads. Posted on October 1, 2016 by CedrickPosted in BusinessTagged 2017, grand, jeep, topnotch, vip.